MCMTC is proud to bring you one of the most hilarious and silliest pieces of theatre you’re ever likely to encounter. Rude Frenchmen, can-can dancers, the Lady of the Lake and her Laker girls, killer rabbits, catapulting cows and the somewhat odd Knights who say ‘Ni!’ are just part of the adventures and dangers awaiting King Arthur and his trusty (sorry) rusty Knights of the very, very, very round table in their quest for the Holy Grail! 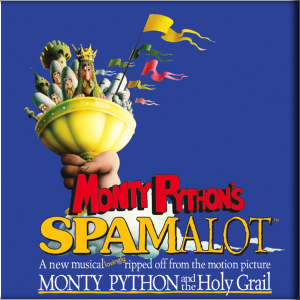 Lovingly ripped off from the classic 1975 film, Monty Python and the Holy Grail, Spamalot is the fun-filled irreverent parody of the Arthurian legend that has had audiences roaring in the aisles around the world. A smash hit on Broadway and the West End. The show was nominated for a staggering 14 Tony Awards on its debut, winning Best Musical and was seen by an astonishing 2 million people during its original run.